Oh this sounds delicious!! I only have one question and I hope I am not disclosing my limited culinary skills: what is queso fresco? It’s a Mexican cheese. Queso fresco means “fresh cheese”. Its a white and on the softer side. It has a mild milky flavor. 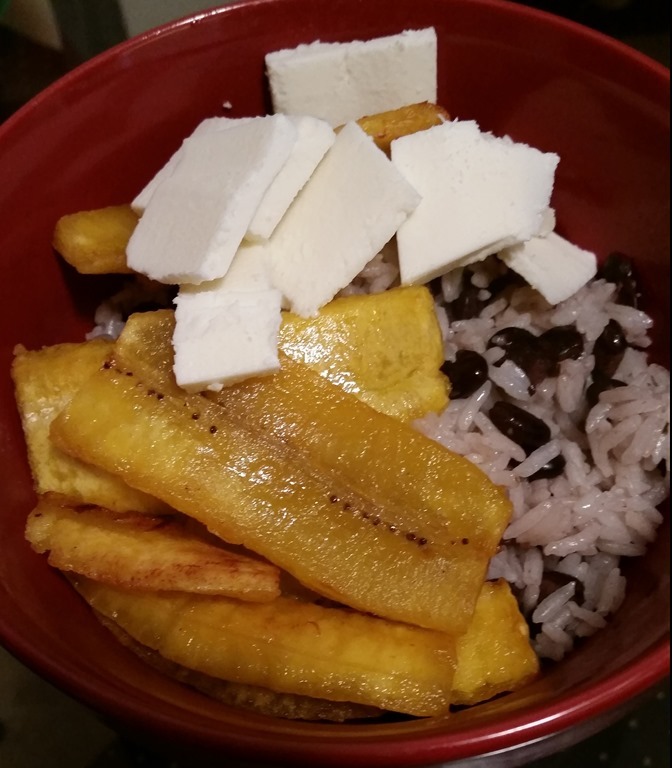 Very good with the plantains.